Navius consultants publish articles and white papers on a variety of energy, climate change, and economic modeling topics. 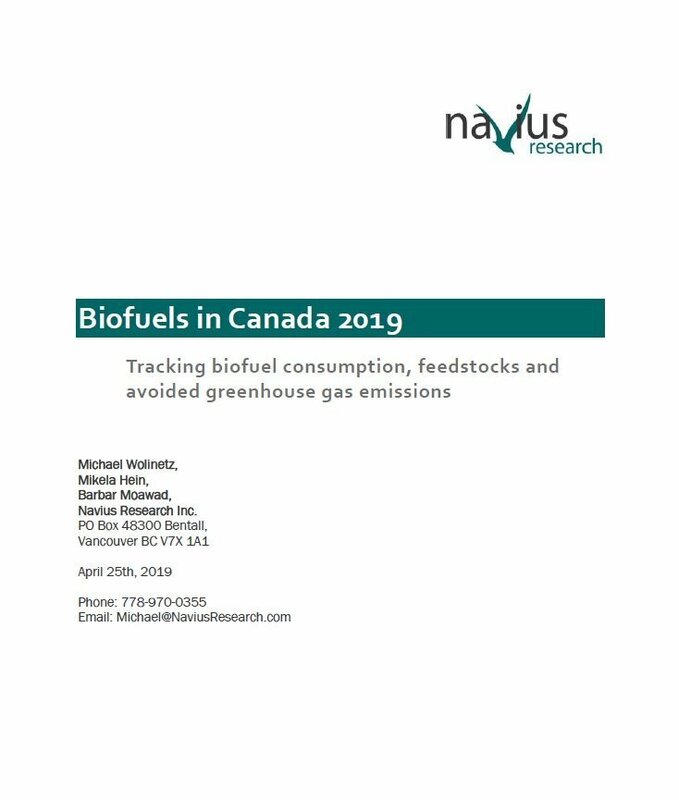 Navius Research has released the 2019 edition of the “Biofuels in Canada” report. This report uses public data to catalog the volume of transportation biofuels consumed in each Canadian province while estimating the impact of biofuel consumption on greenhouse gas emissions and transportation energy costs. Wolinetz, M. & J. Axsen. 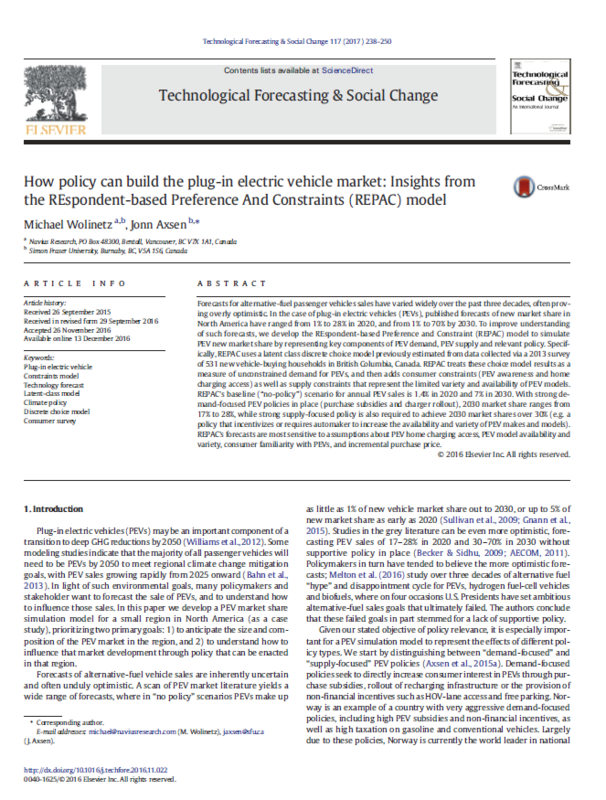 This study, published in the April 2017 issue of Technological Forecasting & Social Change journal, describes a plug-in electric vehicle market uptake model and summarises its results analysing the impacts of different plug-in electric vehicle deployment policies.